To make your selection for an individual giclee, please reference Lynne B. Wilcox Paintings or Karen Stone Paintings in the Navigation Bar on the left. Paintings suitable for giclee reproduction are indicated under the image. 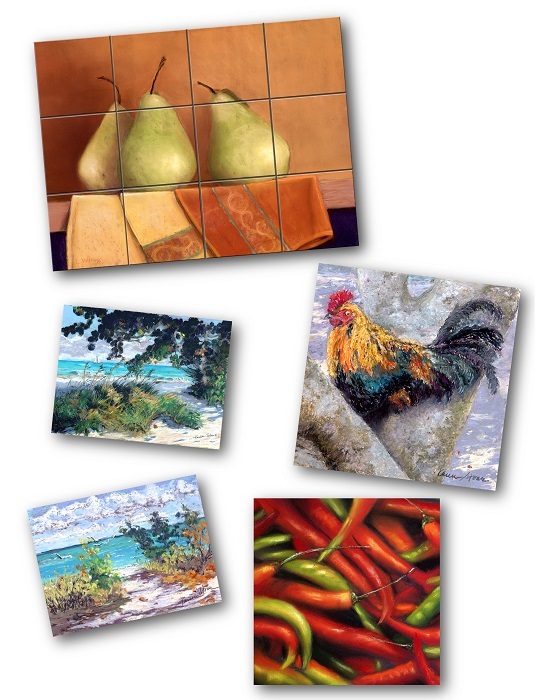 Giclee: Permanent printed reproductions in standard and custom sizes. require mat and framing under glass. - Stretched canvas (gallery wrap) does not require framing. 6" x 6", 6" x 8", or 12" x 12". Shipping charges will be added to order. Sales tax will be added as applicable. Payment by Visa, MasterCard, AmEx or prepaid by check.